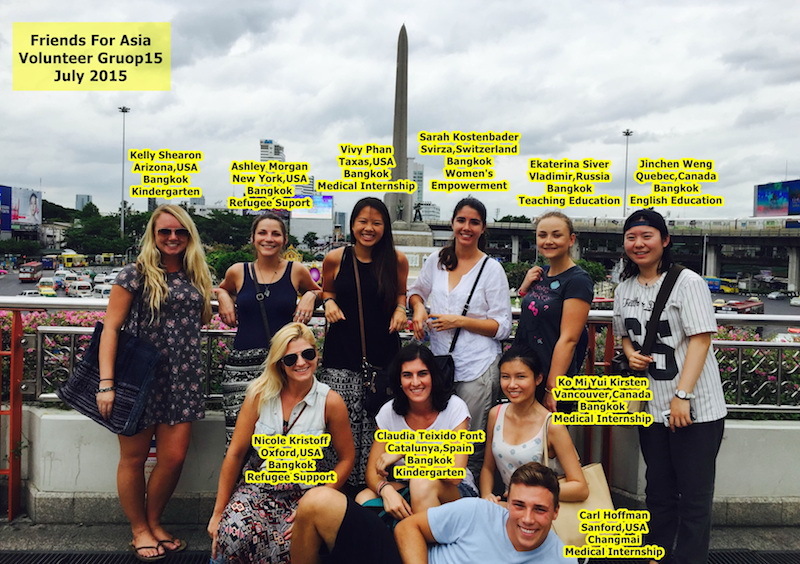 At Friends for Asia, we have many years of cumulative experience doing our own volunteer work in Thailand as well as helping others make the most of their skills and experience. 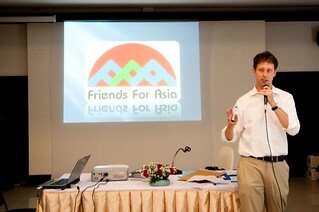 Our background and extensive network in Thailand are among the most valuable resources available to incoming volunteers. This is what our volunteer orientation program is all about. We introduce you to tips, strategies and insider information that you can leverage during your time on project. In the process, you’ll learn about the history and mission of Friends for Asia; the language and culture of Thailand; and the role that you can play at your project site. When you arrive in Bangkok and Chiang Mai, a volunteer coordinator will be waiting to pick you up at the airport, bus station or train station. Your first evening is all about settling in and getting your bearings. Meet other volunteers; order a plate of pad thai from the corner restaurant; and get plenty of rest. You’ve got a full weekend of orientation activities ahead of you. Mastering just a handful of phrases dramatically enhances the volunteer experience. While few launch into their projects with a well-polished grasp of Thai language, our volunteers are introduced to the basics of greeting and conversing with Thai people. Two 45-minute language lessons are incorporated into volunteer orientation. Potentially even more important than language, culture differences can be an enormous barrier to really connecting with the Thai people on your project site. We’ll walk you through the reality of culture shock; devote some time to understanding Thai culture; and then break down some “do’s and don’ts” to keep in mind on the project site and in Thailand at large. We also make sure that our volunteers have opportunities to engage the local culture during orientation. You’ll visit temples, sample plenty of authentic Thai cuisine and practice your language skills at the local market – all before your project has even started. Our attendees find themselves in authentic, off-the-grid locations while volunteering in Thailand, and staying well is an important consideration. We bring in a registered nurse to offer tips on staying healthy and safe while in Chiang Mai. More often than not, you’ll be joined in orientation by volunteers bound for different project sites than you. Early on Saturday, we will take some time to talk about the specifics each project. On Sunday, we host a special workshop just for our teaching volunteers, to help them craft strategies for planning lessons and managing classes of Thai students. The director of Friends for Asia – a former Peace Corps Volunteer in Thailand – will also share his insight into the role that volunteers can play in local projects. There’s plenty of downtime worked into the orientation schedule, including outings to area markets, Buddhist temples and rustic restaurants. This culminates in a traditional Khan Tok dinner (for Chiang Mai), featuring Northern Thai cuisine and a traditional Thai dance exhibition.